Abbotts Countrywide are local estate agents that have been successfully buying, selling, renting and letting property in the Norfolk, Suffolk, Cambridgeshire and Essex areas for over 160 years. Their industry trained professionals are experts at bringing people and property together, across a network of more than 30 branches throughout the region. Here at Belton Duffey we have a passion for selling houses. We are proud of our independent heritage of over three decades and pride ourselves on our local knowledge and standing in the community. Our highly motivated and enthusiastic staff provide a courteous, professional service to both buyers and sellers alike using up-to-date technology alongside years of experience. Belvoir is one of the UK's leading property management and letting agents. We offer a specialist service in residential lettings, properties to let, buy-to-let and property rental for tenants and landlords with offices in England, Ireland and Scotland. With an extensive selection of property to rent including houses, homes, city flats, studio flats and apartments Belvoir Lettings has property available to suit every requirement. The cost of your call will vary depending on your landline or mobile phone provider and the number called. Please check with your network provider for potential costs. Moving is a busy and exciting time and we're here to make sure the experience goes as smoothly as possible by giving you all the help you need under one roof. The company has always used computer and internet technology, but the company's biggest strength is the genuinely warm, friendly and professional approach that we offer all of our clients. We are a family run company that was established in 1988 and has grown to become one of the largest independent estate agent in North West Norfolk. Although our market share has dramatically increased over the years, we continue to retain our friendly, professional approach to selling and letting properties. 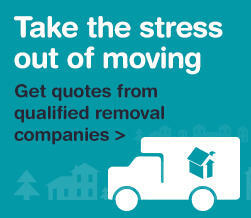 We will always give you honest and straightforward advice throughout the whole buying and selling or letting process. The Brittons letting department has been looking after hundreds of properties throughout Kings Lynn and the surrounding areas for over 23 years. Therefore, we have lots of experience and local knowledge which makes us one of the leading letting agents in the area. Clients can be confident when instructing Brittons as we are members of NAEA and ARLA and clients can relax knowing that their money safely protected by these professional bodies. Brown & Co's highly successful residential department combines the highest standards of integrity with expert local knowledge to produce the best results for clients. With estate agency offices in Norwich, Holt, Sheringham, King's Lynn, Retford, Brigg and London we deal with the full range of properties from apartments to farms and country houses. We also sell properties from our Caribbean Office in St Lucia. CRUSO & WILKIN BELIEVE IN TRADITIONAL VALUES AND PROVIDE A PROFESSIONAL AND PERSONAL SERVICE TO CLIENTS SEEKING TO BUY, SELL OR LET HOMES THROUGHOUT WEST NORFOLK, FROM KING'S LYNN AND SURROUNDING VILLAGES THROUGH TO HUNSTANTON AND THE SOUGHT AFTER NORTH NORFOLK COAST. DoorStep Agents. The brand new online estate agency covering the whole of London and UK with our local property experts. We combine the human face of high street agents with a unique online infrastructure; and we're open 24/7. Get your local agent out for a free valuation today and if you instruct us, enjoy their support at every step of the way! For just a £99 fixed fee! We are a long established firm of Chartered Surveyors and Estate Agents, with offices in South Lincolnshire and West Norfolk. We specialise in residential and commercial property sales, lettings, valuations and surveys. A professional and personal service from an experienced team. We are Estate Agents, Auctioneers and Chartered Surveyors - Established in King's Lynn & West Norfolk for nearly 150 years, we offer unrivalled local knowledge and a highly professional service to our clients upon all matters relating to property. We are an independent firm always putting our clients interests first. Russen & Turner have been offering property advice for over 30 years. They pride themselves on staying true to old fashioned values such as ‘always putting the customer first’; whilst at the same time embracing modern technology to ensure they offer the very best in customer service. Since opening my first Sowerbys office over two decades ago, I am pleased that Sowerbys have earned a reputation for having a completely honest approach to selling and letting property. I put this down to many things such as our fantastically located offices and our excellent marketing, but, without doubt I believe the main reason for our success is my Sowerbys team. Landlords More and more people are considering becoming a landlord either as an alternative to selling, the stock market or other traditional investments. Renting out a property can provide an excellent way to make your money work for you. It provides a tangible asset that has traditionally seen excellent returns over a long term period. Whether buying or selling, renting or letting, The Property Bureau is here to help. We combine years of experience with a fresh innovative and interested approach which, at a personal level, will enable us to help you achieve the best possible results.